The other day, Blizz linked to a spanish youtube video put out by Hols. This video detailed how to get the new booterang "toy but not a toy" from 6.2.2. Watching the video, I notice that Hols IS WEARING GUL'DAN'S shoulders! Yeah, not the corruptor set like I substituted with, but the same model. 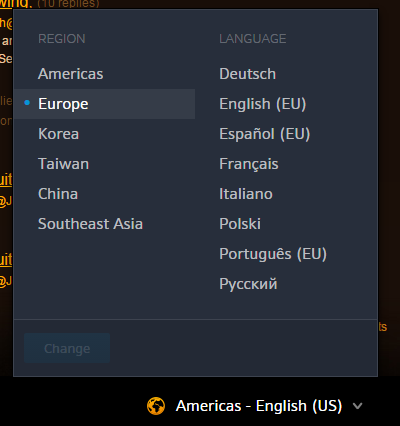 So, I start by searching the US armory.. (can't select EU for some reason), so I searched Korean, Taiwan, China and Southeast Asia as well.. No Hols. "Change" button disabled going from US to EU. Quick Internet search, I found "WarcraftRealms.com". This site lets me put in a few specifics, [level 100], [mage], [blood elf], ["Hols"] and it returned exactly who I wanted. Looking up his shoulders, I found they share the same model with the warlock HFC tier set. 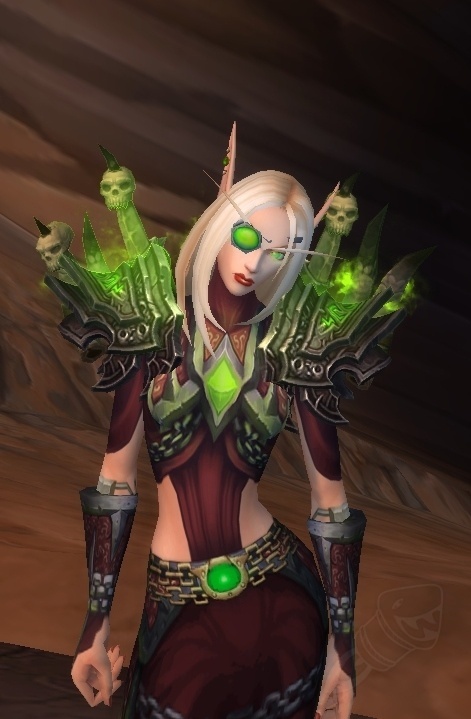 The normal version of these shoulders of these don't appear to have the spikes, but the Mythic one does! Sigh, I don't see me running Mythic HFC any time soon (until I can solo it)... 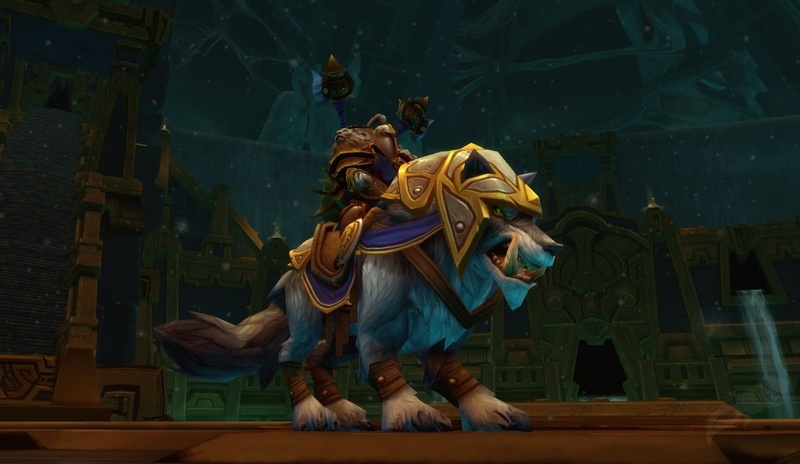 I guess I should have looked at the tier gear announcements, probably all over MMO-Champion (like back in Sept 2014). At least, my xmog has only cost me a little bit of gold, some idle honor points and running old content (might try again for Ashes).